I really enjoy simple apps that do things that make my life easier or more interesting. 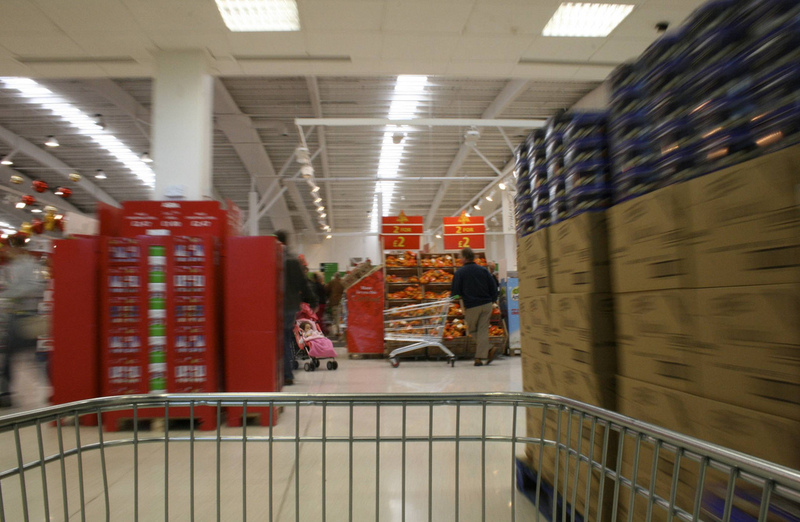 Whenever you go to the supermarket, you probably have a list with you, but Check-in Recipe will fire a new recipe off to you every time you check-in at a supermarket on foursquare. It’s like having your mom give you a call to share something new she whipped up in the kitchen. While it doesn’t sound like much, it’s a neat add-on if you’re a foursquare power-user. 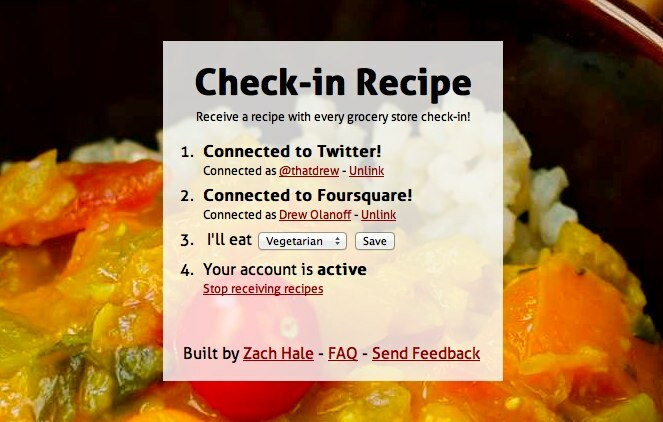 Just sign in with your Twitter account and authorize your foursquare credentials, and you’ll be sent a direct message on Twitter with a link to a new recipe for every grocery store you check into. The app was built by Ruby hacker Zach Hale, and is even thoughtful enough to ask if you’re vegan or vegetarian before sending recipes to you. I’m hoping that this isn’t a weekend project, because the concept has some legs to it. I love the idea of having suggestions sent to me in real-time depending on where I check in, especially something like recipes that could impact my shopping decisions.